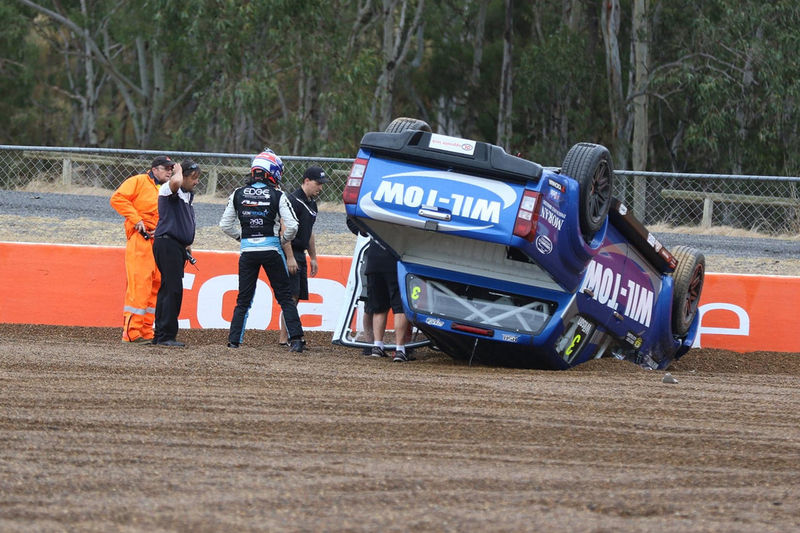 Steve Wilson’s Isuzu D-MAX SuperUte is a scratching for the season’s third round in Townsville after an accident while testing at Queensland Raceway this morning. 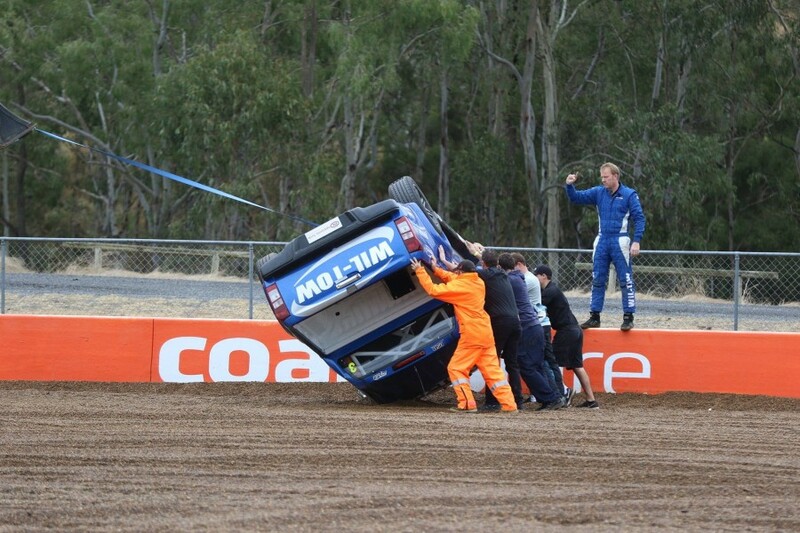 The Wil-Tow entry was being driven by youngster Tyler Greenbury when it spun and rolled three times in the Turn 3 gravel trap. Greenbury, who was slated to make his ECB SuperUtes Series debut in Townsville due to Wilson’s clashing business commitments, was uninjured in the incident. Today's test marked the first SuperUte laps for Greenbury, who had started the year in the Dunlop Super2 Series. “Tyler was a bit embarrassed but he didn’t really do anything silly, he just went out, cut a few laps and had a bit of a lock-up on a damp track,” Wilson told Supercars.com. “I’d had a lock-up when I’d gone out earlier and came off the track exactly like he did, except I did it at Turn 1 and his was at Turn 3. Although the damage is cosmetic, Wilson says there’s too much work to be done to have it dispatched in time for the July 6-8 Townsville event. 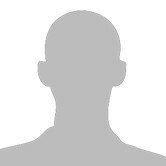 Instead, it will return - with Wilson at the wheel - for the Queensland Raceway round later in the month. 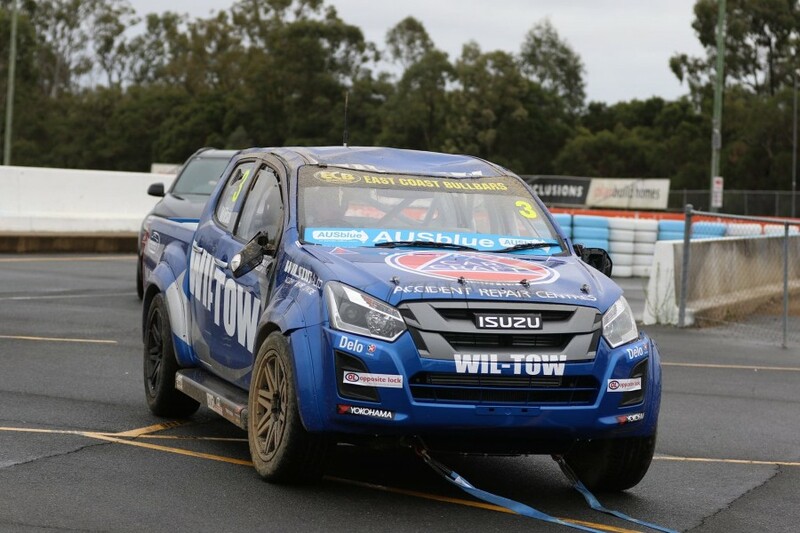 The Isuzu is prepared by Ross Stone Racing, but Wilson will use his own Wilson Auto Accident Repair Centre in Capalaba, Brisbane, to do the bulk of the work. “It isn’t impossible to be done but it’s a lot of hours involved and it’s too much to rush it to Townsville, so we’ll make sure we do it properly,” explained Wilson. “Luckily there’s no mechanical or suspension issues, it is just panel, but it’s the worst type of panel damage being the roof, it’s not the bolt-on stuff, it’s welded. A 10-ute field is set for Townsville, with Stephen Southgate’s Holden Coloardo now expected to debut later in the season. The damp conditions at Ipswich this morning, meanwhile, led to Kostecki Brothers Racing electing to postpone its wildcard test. Super2 runner Kurt Kostecki had planned to use the day to prepare for his Virgin Australia Supercars Championship wildcards at Ipswich and Tailem Bend. Supercars outfit Matt Stone Racing had already opted to postpone a test for rookie Todd Hazelwood, to “focus on further development” of its Falcon package.